This is the 5th edition of Bill Jelen's best-selling book. 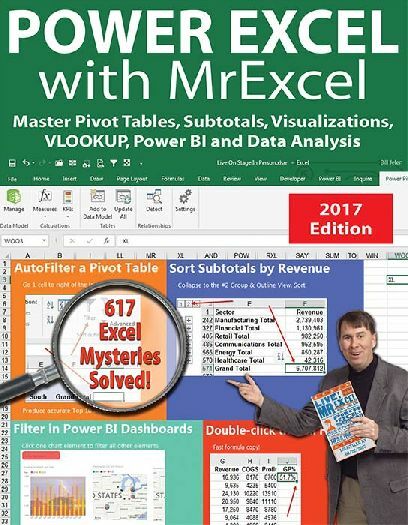 Master Excel Pivot Tables, Subtotals, Data Visualizations, VLOOKUP, Power BI, and Data Analysis. Includes 617 Excel mysteries and solutions. Covers Excel 2013, Excel 2016, and features released to Office 365 as of January 1, 2017.